MOV was originally developed by Apple as a file format for its QuickTime movie player. Now we see it often used in websites, mostly for streaming audio or video. 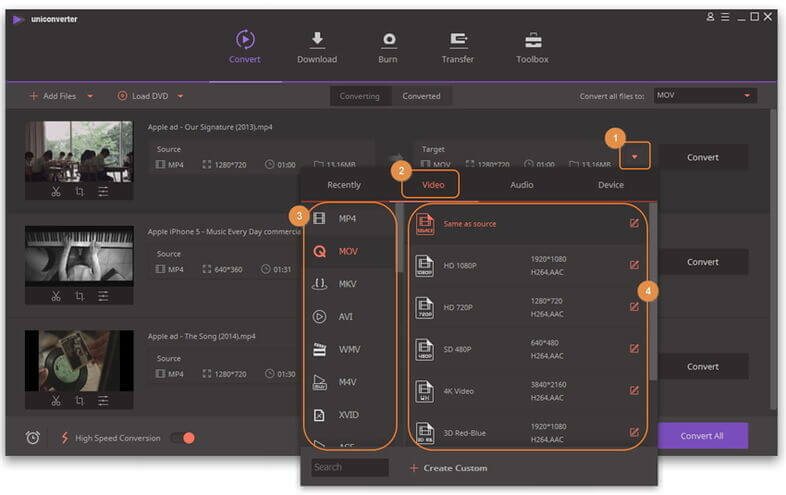 And its playback is supported by nearly all Apple devices and programs, such as Apple iTunes, iPad, iPhone4/4S, iPod, etc. However, if you want to play your QuickTime MOV files on other cell phones and smart phones like HTC, Blackberry, Nokia, etc., you still need to convert them to 3GP files (Third Generation Partnership Project). Additionally, a cell phone may not have the ability to play all variety of 3GP videos due to limited codec support on the cell, thus a highly compatible 3GP output applies to all brands of cell phone is a pro. Here, Wondershare UniConverter (originally Wondershare Video Converter Ultimate) is highly recommended. Wondershare UniConverter (originally Wondershare Video Converter Ultimate) features on powerful conversion capability at ultra fast speed (30X faster), providing 1:1 quality ratio and highly compatible output. 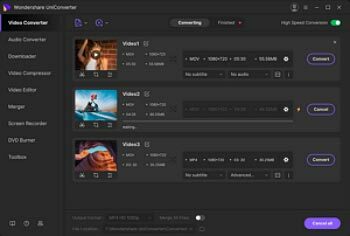 What's more awesome is it also provides presets for various mobile models (works great on your mobile phone) and common editing features like trim, crop, add subtitle and watermark. Below is the detailed guide. Note: Download a free trial version via the download button above. This QuickTime MOV to 3GP convert is cross-platform: Wondershare UniConverter for Mac (originally Wondershare Video Converter Ultimate for Mac) (supports Mac OS 10.14 (Mojave), 10.13, 10.12, 10.11 (El Capitan), 10.10, 10.9, 10.8, 10.7, 10.6) and Wondershare UniConverter (originally Wondershare Video Converter Ultimate) (supports Windows 10/8/7/XP/Vista), they have almost the same functions and this guide takes windows screenshots. Click the Add Files icon to load QuickTime MOV files from the desktop or other folders. Or just drag videos directly into the program window. Click the icon to expand the output format list, click Video tab and choose 3GP from the left side bar, and then select the video resolution in the right to confirm the output format. Tips: you can also choose a preset format for your particular cell phone model, just click into the Device tab. 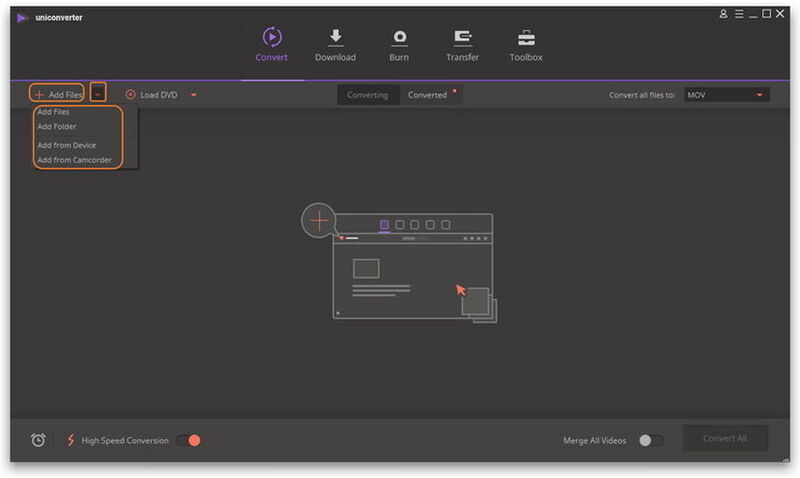 Besides essential conversion ability, you can also enhance your videos by below features: trimming, cropping, applying effects, and merging video clips, etc. (click the editing icons under the video thumbnail to access Edit window). Click the Convert button and let video converter take care of the QuickTime MOV to 3GP rendering. It may take a while, depending on file size and quantity. That's it! Now go enjoy the converted files on your smart phone!